A diamond’s beauty — and value — are normally determined by its overall look. Yet not all Diamonds are created the same. While some Diamonds have formed over billions of years, others are created in laboratories. The origin differences are vast, but their overall look, feel and structure are similar. It’s incredible to think about, but both Earth-mined and lab grown Diamonds aren’t so different. So, which should you choose? While both diamond types are similar, there are still a few differences. Before picking your first diamond — or even your next, if you can’t get enough of them — understanding these differences can help with the decision process. Carbon is in an incredibly high-pressure environment. The environment’s temperature is very high, at least 2,000 degrees Fahrenheit. It can take centuries for a diamond to form. Diamonds are created in the Earth’s mantle, about 80 to 120 miles beneath the Earth’s surface where it’s approximately 2,200 degrees Fahrenheit. 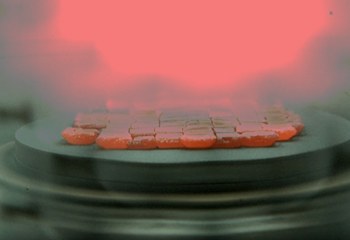 Assuming the heat and pressure conditions are perfect, Diamonds begin to form. These Diamonds are sent to the surface during volcanic eruptions, shifting earth plates and other natural movements. They’re embedded in large rock chunks, so miners need to “unearth” them with a number of tools and equipment. While natural certified Diamonds come from the earth, lab grown Diamonds come from — you guessed it — a laboratory. Lab grown Diamonds, much like natural Diamonds, only form under specific circumstances. In recent years, scientists have figured out how to mimic the earth’s natural “diamond making” conditions. Remember: A diamond, no matter its origin, is highly pressurized carbon that has experienced a chemical change. Lab grown Diamonds even have the same scintillation, fire and sparkle as natural grown Diamonds. These Lab grown Diamonds are categorized on the basis of their creation methods. Namely, they’re defined as chemical vapor deposition Diamonds (CVD Diamonds) or high-pressure, high-temperature Diamonds (HPHT Diamonds). CVD Diamonds are created by depositing oc chemical vapours. 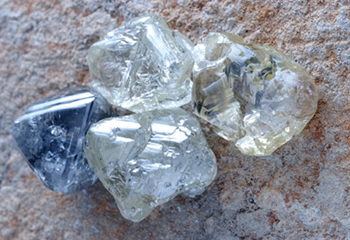 While HPHT Diamonds are made with classic pressure techniques, which causes the diamond-creating chemical reaction. Most of the lab-grown Diamonds offered by Sun Diamond are CVD Diamonds. Natural certified Diamonds and lab grown Diamonds often can’t be distinguished with the naked eye. Unless you’re a gemologist, the differences are hard to pinpoint. All Diamonds — natural and lab grown alike — have different inclusions that impact their clarity. All lab grown or cultured Diamonds offered by Sun Diamond are inscribed as lab grown or lab created. Also most grading labs will mention if a graded diamond is lab grown on the diamond grading report. Diamond which are formed by geological forces of nature are refered to as Natural Diamonds. Natural Diamond are formed under high temperature and pressure conditions beneath the earth’s surface. These diamond are mined out of the earths crust, which is why they are often reffered as mined Diamonds.